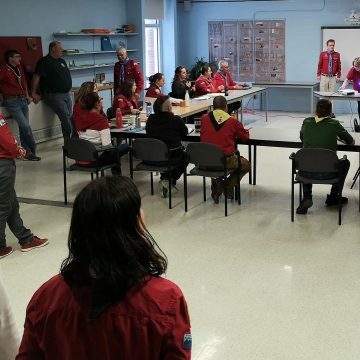 On Saturday, January 26, Scouters from across the region gathered at the Richmond Regional High School for a day of training and empowerment. 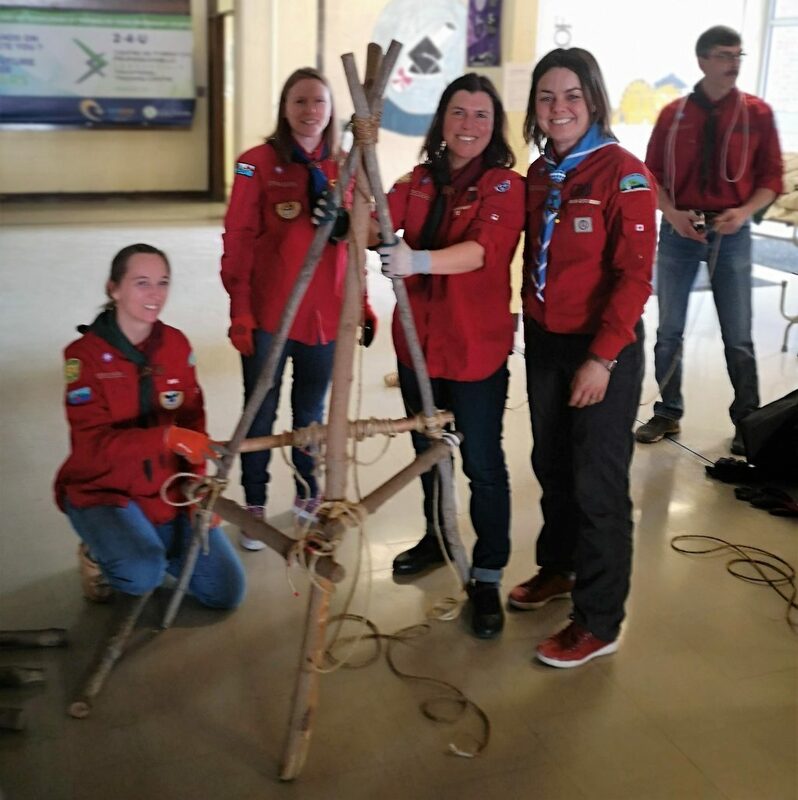 Sessions included Dutch oven cooking (which resulted in a delectable lunch of chicken, ribs, and chili), propane stoves, hiking tips, useful knots, youth safety, marketing, growth, and recruitment. A special session was dedicated to the importance of inclusiveness to our wellbeing. We discussed how to provide a welcoming environment for all our members, and how to encourage youth to design and apply a code of conduct. One of the highlights of the day was a simulation of a scenario where one of our members is injured during camp. First, we needed to quickly construct a stretcher, for which we used rods, ropes, a sleeping bag, and a tarp. We then had to secure our patient onto the stretcher and carry her to safety. We learned how to properly support the stretcher while walking, using the ‘tap shoulder’ replacement method. 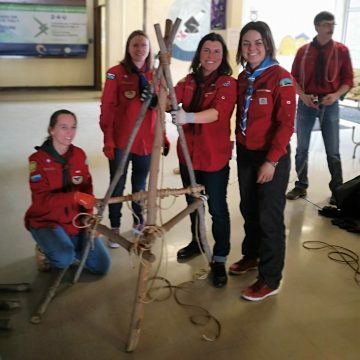 The activity aimed to enhance resourcefulness and teamwork, and combined our knowledge of knots and First Aid. Should the occasion arise, we will be prepared. 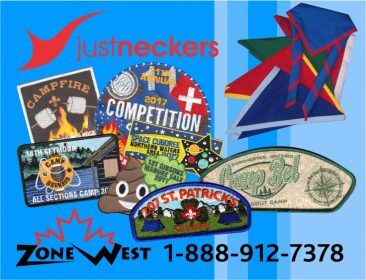 The day was completed with a Recognition ceremony in which several members were acknowledged for their outstanding contribution to Scouting. 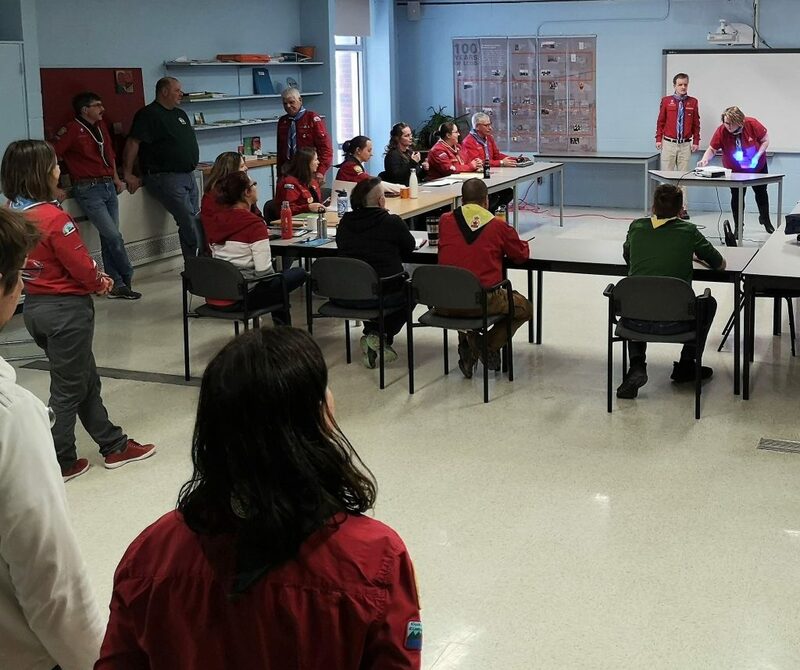 Our training day was useful, fun and informative, and provided a unique opportunity to meet Scouters from across the region. Sharing ideas and experiences with members of different groups was a lovely reminder that we all work for a great common goal.